Finally with a break in the weather on Saturday and Sunday we managed to get out. Kingfish remain hit and miss at Montague Island, with 1 legal fish around 75cm and a few rats on Saturday, plus plenty of reef fish. Sunday a change of tactics, saw some better quality snapper and 2 unreal session on gummy sharks, with big numbers of gummy sharks in the morning and afternoon trip, keeping a few and realising a couple also. Water temps sneaking up to 18 degrees at Montague Island so we expect kingfish to only improve. 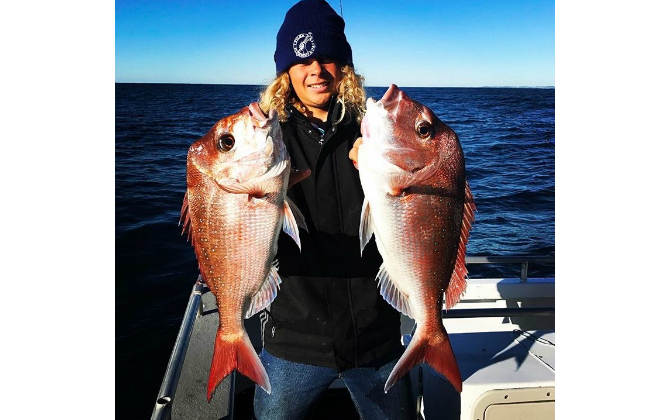 After a very quite few weeks things are starting to kick into gear for us here in Narooma, snapper fishing is really starting to improve for us here on the coast with fish up to 70cm. 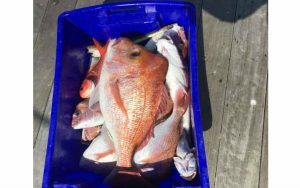 The past couple day with 67 and 68cm fish landed and plenty smaller snapper. We have also caught a couple small kingfish and seen a few schools of bigger kingfish starting to move around Montague Island and with the water temp warming up to around 16.4 degrees we could be in with an early kingfish season. Bluefin Tuna season started well for us her and ended very quickly with the fish moving on early in July. good numbers of bluefin Tuna have been caught off Sydney and now Wollongong. in the past few days and with the water pushing souther is is always a chance of a late season bite in the next 2 weeks. Fingers Crossed! On a different note, whales are well and truely here and the next 2 months are the best time of the year for whale watching and penguins tours! 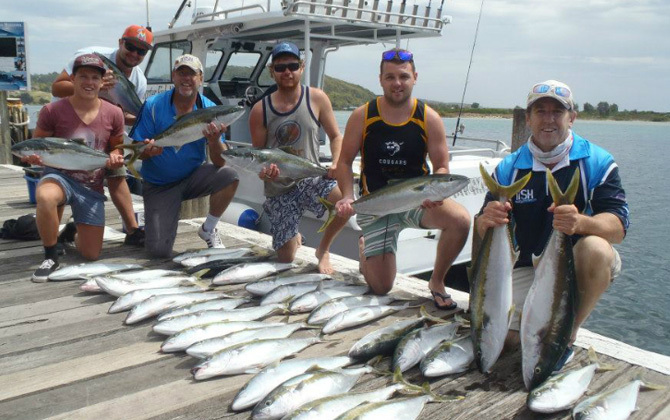 At Charter Fish Narooma we use and recommend Daiwa fishing products for our reef and game fishing in Narooma. 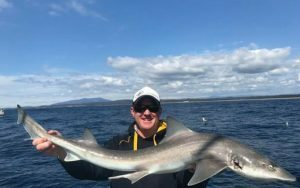 You will find almost every fish photographed on this website was caught on a Daiwa rod and reel on one of our trips reef and game fishing out of Narooma. 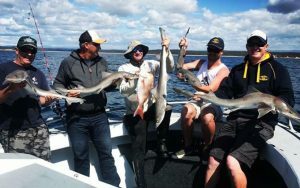 Fishing trip at Narooma with Charter Fish Narooma. Just an update, the past 2 weeks have been very slow for us recently. Bad weather has prevented us from going wide looking for the Bluefin Tuna for some time now. 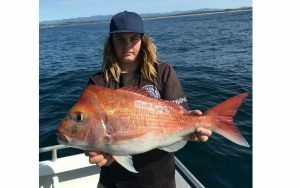 Snapper caught around the Narooma – Montague Island area. A week ago was our last trip out and things where very quiet with the majority of the fish out too wide for us to reach. One upside is the water holding the fish has pushed in closer within reach and local longliners are getting good numbers of fish.